The love pot has arrived at Tasty Bingo and this one brings you the chance to win a whopping £15,000 jackpot prize on the most romantic day of the year, Valentine’s. Tasty Bingo are the next host site in line for the big money joy pot games which play out across Wink, Posh, Red Bus, Bingo Street and Tasty each year and as this game falls on Valentine’s Day 14th Feb, it has been re-named the (love pot) as a one off. The great thing about these joy pot games is not only do they come loaded with huge guaranteed prize pots, but you are brought the chance to grab free cards for the games, which means you could effectively win them for free! Now wouldn’t that be something. You can play at any of the above sites listed to accumulate joy pot points and each time you clock up 500 of these it will equal 1 free game card for you. Please note: if you are playing at one or more of these sites, you must ensure you use the same email address so those points can be bundled together. Check out the game details. To pick up 20 points instantly, simply send them an email telling Tasty Bingo what the most romantic thing anyone has ever done for you. This entry was posted in Bingo Blog and tagged Tasty Bingo on January 6, 2012 by Emma. If you have been missing the game of the week offer at Cheeky Bingo, we can tell you that this fab promo will be gracing your screens once more from January 16th! The game of the week deal at Cheeky Bingo brings you the chance to win free cards for their guaranteed £5,000 monthly monster, so no wonder it is so popular with their members. We can inform you that the game of the week will return on 16th Jan with Cleopatra and this one will run through until 22nd Jan. Every 10 spins you take on Cleopatra during this time will give you one free monthly monster card, which means you could effectively win this super jackpot for nothing! There is plenty more to look forward to on Cheeky Bingo this month as well. Today 4th Jan their daily prize bingo games begin where you are being brought the chance to win some fab prizes each day – special deposit bonuses and cash will be up for grabs. The cheeky January sales will start on 10th Jan and this offer will run through until 15th. During this time you can expect to purchase some bargain basement tickets and we are talking just 1p / 2p and play for some super guaranteed prize pots of up to £100. In fact their is £3,000 waiting to be won in total on these January sale games and you can be in with the chance of winning a slice of all that cash from just pence. There is not much you can do with pennies anymore, but if you have got a few of them floating around in your cheeky balance, you could spend them in their January bingo sale. 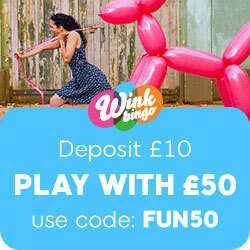 Cheeky Bingo still remain one of the best free play / real play sites on the net today and you can try before you buy here. Just sign up toady and head to their free play section, no deposit required. This entry was posted in Bingo Blog and tagged Cheeky Bingo on January 4, 2012 by Emma. The team at Foxy Bingo wanted to end the year 2011 off on a big bingo high and they will be doing this by laying on a massive guaranteed New Years Eve £31,000 game. There are 31 days in December, which is a grand a day in Foxys books and that is how they come up with the £31k jackpot prize, and it must be won on the night – have you got your tickets yet? New Years Eve 2011 is now just a day away, but don’t worry if you have not purchased your tickets for this game, as you can log onto Foxy Bingo now and buy them today thanks to the pre-buy option that is available to use. This means that even if you are going to be partying the night away tomorrow, you do not have to miss out on taking part in what has got to be one of the biggest and best guaranteed jackpot games of the year. Once you have bought your cards they will play out for you whether you are logged onto Foxy at the time of the game or not. You can check just how this game panned out next time you log on by simply going to your (game history) and you never know you may get a bit surprise yourself – because that is the beauty of pre-buy online bingo. The £31k New Years Eve game will take place on the traditional 90 ball format, which means straight off you get three chances to win – but on this game cash prizes will also be paid out to everyone who gets that usually dreaded 1tg and even 2tg! Check out the pay details. If you are waiting for 1tg when the full house is won you will share £3,000 cash and if you are on 2tg you will win a share of £1,500 cash. So you can win, without actually winning the game, which is fab. Good Luck everyone – Happy New Year! This entry was posted in Bingo Blog and tagged Foxy Bingo on December 30, 2011 by Emma. 888 Ladies Bingo will be holding a yuletide rock New Years Eve party and it will be taking place between 31st December and 2nd January 2012 – so it won’t just last for one night either! On New Year’s Eve itself 888 Ladies Bingo have lined up all sorts of fun party games and they are set to give away some fab prizes and loads of LPs (loyalty points). So if you are going to be staying in on NYE, they might be the site to be at; and you will still be able to party, but from the comfort of your own home. Their online party will take place between 8pm and midnight, to join the fun you simply need to log on! Their tourney themed events though will run throughout these 3 days (31st Dec to 2nd Jan) and you can expect to participate in the following. Happy hours – These will take place each night between 6pm and 8pm in all hosted chat rooms. During this time double LPs will awarded on all chat games. Bring the house down – The 888 Ladies Bingo players who wager the most during this event on 90 ball bingo will each win a cash prize of £20.12 each (to see in the new year 2012) no doubt. Blow the roof off – The players who win bingo the most on the special (house) pattern in their 75 ball rooms will also win £20.12 each. Instant High – This one will be for all you instant game lovers. The players who wager the most on any instant game will also pick up £20.12 cash each. Right on time – Up for grabs on these on is two digital / fm radios and they will go to the player who wins bingo the most on the music pattern and the player who wagers the most on their X Factor instant games. These digital radios are all the rage at the moment and they allow you to tune into some great dedicated radio stations, where the sound is crystal clear. Love rock & roll – There are loads of bonus funds and LPs up for grabs in this promo, full details of which can be found by logging onto 888 Ladies Bingo. This entry was posted in Bingo Blog and tagged 888 Ladies Bingo on December 29, 2011 by Emma.